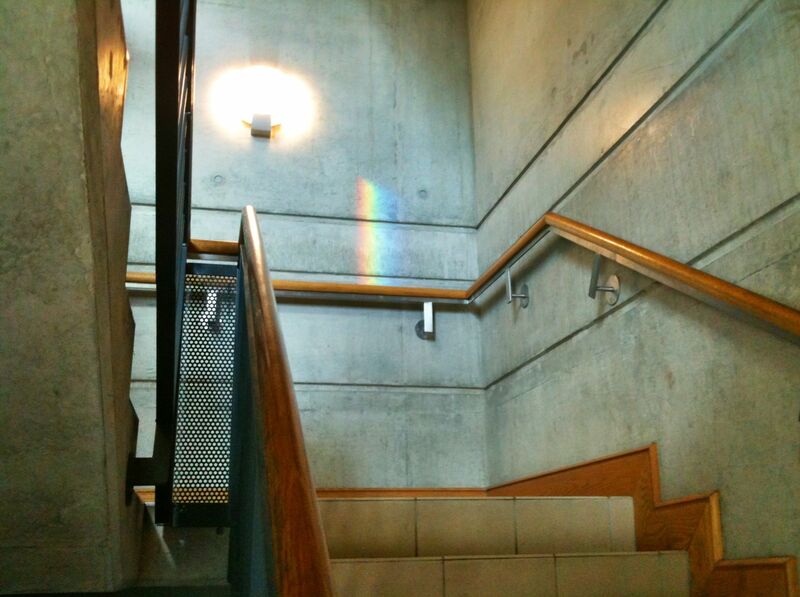 At a certain time of the year, at a certain time of the day, if it possibly is sunshine, the stairwell outside our lab at UL has the most beautiful little artificial rainbow. The cause is the angle between the windows opposite the stairwell and the sun just about sneaking around the corner of the next building. Even when on my way, rushing to the next lecture or meeting, this humble optical effect makes me stop and smile – or snap a photo. I can imagine the fascination that for example Isaac Newton must have experienced while exploring how prisms work. 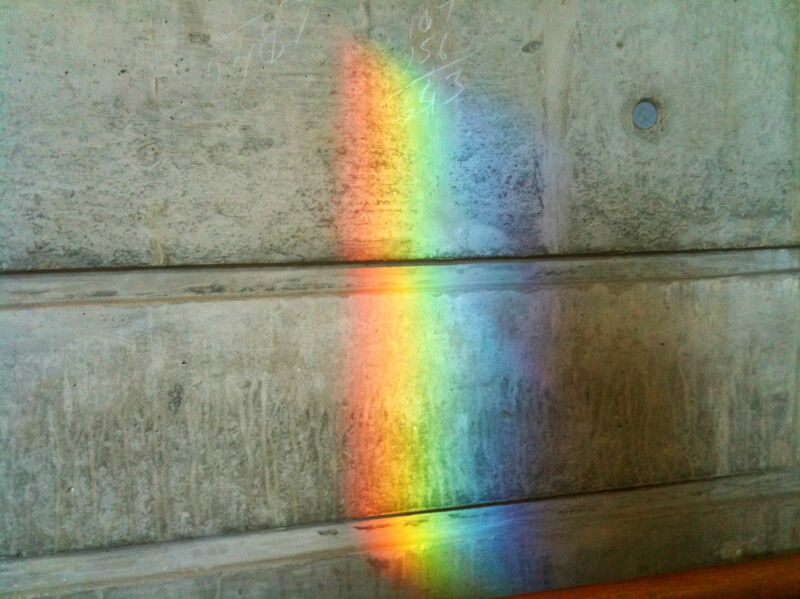 White becoming all colours, and being able to manipulate the rainbow.